August | 2010 | WHATEVER! What a slippery slope the EPC has started down. While I will concede the fact that “people of good faith who equally love the Lord” differ on this matter, I am not convinced that these same differing groups “equally love God’s word” and its authority, especially when it differs from their personal points of view. Is there really any doubt, apart from all sorts of parsing of the plain language of scripture that women are prohibited from assuming the role of teaching elder, thus having authority over a man? While I will acknowledge that Paul’s teaching on this matter clearly had historic and cultural considerations, to simply dismiss those teachings as prescriptive only for the first century and not so for a timeless audience is dangerous stuff. The EPC will pursue this sort of policy to its own peril. All they need to do is look at what has happened in terms of the apostasy of the PCUSA to see what this sort of careless treatment of scripture produces. “Anybody listening?” That is the question posed by Parker Williamson, the former executive director of the Presbyterian Lay Committee. He poses the question in his article about the Presbyterian Church USA (PCUSA) and its recent General Assembly discussions about taking steps to “censure” Caterpillar, Inc., the heavy equipment manufacturer, for sales of its equipment to Israel. You can read the entire piece HERE. It makes some of the most excellent points I have seen in a long time with respect to the PCUSA’s loss of real purpose, which is exactly where it finds itself right now, but doesn’t know or understand it. Williamson’s points would apply to MOST if not ALL of the old mainline Christian denominations. Substitute any denominational name from among those old mainline churches, and the truths spoken in this article will be relevant. And sadly, I would submit that even some of the more evangelical splinters from the old mainline churches are prone to veering off into “words” instead of “the Word” whenever they begin dabbling in the areas of social justice, kooky and unsupportable enviro-consciousness, LGBTQ sensitivities, and a host of other culturally popular topics. “Tired” doesn’t quite say it strongly enough. I am so stink’in tired of hearing about the so-called Ground Zero Mosque! The subject never experiences more than about a 15 minute break on the news networks before it is topic-number-one again. If it were not for the fatigue/frustration of hearing about it so incessantly, I probably would not ever write a post about it. But maybe doing so will be cathartic for me. So, a few thoughts for what it’s worth. The so-called Ground Zero Mosque, for which the television news networks now have animation and music, is NOT proposed to be constructed at the most famous of all “ground zeros” (at least the most famous of the 21st century), that being the former site of the World Trade Center twin towers. It is actually two-Manhattan city blocks north of the site of the former WTC and around a corner. If the news channels would refer to this as “the proposed cultural center located two and a half blocks north of the former WTC site”, it would not only be more truthful, but perhaps more helpful in framing the debate. I don’t believe anyone is arguing against the idea that the developers have the legal “right” to build the proposed cultural center at the proposed site. So people who weigh in at this late date with statements affirming this right, are not only stating the obvious, but also contributing nothing in the way of helpful discourse. And I might add that they look pretty stupid for even thinking they have served to move this controversy to some sort of settled understanding and agreement. Case in point…B.H.O. on Friday, August 13, 2010. Given how unpopular this proposed development is with the public in general (I think it is something like 2 out of 3 people oppose it), not to mention the disapproval of those who REALLY do have close personal connections to the thousands of people who lost their lives there at the hands of radical Islamists, I don’t see how it is possible to regard an Islamic center at this location as anything other than a bit of triumphalism on the part of the Imam who is at the head of this development. He and his cohorts can deny it all they want, but given the public outcry, and his unwillingness to accept the help of the Governor of New York to find an alternative site, suggests to me that he is determined to build at this site, not because of its availability or price, but because it is a statement and serves as a stick-in-the-eye of the country that he claims was complicit in the attacks of September 11, 2001. Furthermore, I suspect that he and his supporters, especially the deep pockets in the middle east will not care if the facility is under utilized as a cultural center/mosque, or never used for that matter, as it will stand as a tribute and monument to their heros in the attacks back in 2001. While it would be nearly impossible to prove, I cannot get the idea out of my head that the NYC politicians who are verbally supportive of this development, such as Michael Bloomberg, are engaging in some sort of protection racket with the radical Islamist Imam (described above in point 4). Just as businesses have historically paid protection money to the mob, my gut tells me that in exchange for their support of this cultural center, there is a quid pro quo assuring (not insuring) that NYC is safe from another attack from radical Islamists, at least insofar as the radical Islamist Imam (see point 4 above) has any say in the matter. While I readily acknowledge the offensiveness of the proposed development at a location proximate to the WTC, especially to those directly affected by the attacks of 9/11, I have to wonder what is an appropriate distance to not offend? Apparently 2-1/2 blocks is not enough. How about we double that and make it 5. Would that make people happy? How about if we double it again, and make it 10 blocks? 20? 40? By making this statement, I am in NO WAY casting any sort of aspersion on the “first responders” of NYC, or implying that they would do anything less than their best in performing their duties. However, they lost a lot of good people back on 9/11. That said, I would surely hate to be the casualty insurer for the proposed site. Surely there are more pressing matters than this, that are deserving of our attention. After considerable push-back from the Twitter community as well as the blogosphere, Warren took the tweet message down. Meanwhile many of his defenders tried to explain that he did not mean it in the way it was received. However, today Warren tweeted that he was in fact serious about the challenge for churches to compare their members to any 500 members of Warren’s Saddleback Church. Given the size of Saddleback church (thousands of members), and its “seeker sensitivity”, I think this is a challenge that Warren would likely lose, as it would be relatively easy to find 500 (or more) “baby Christians” who do not possess the qualities that Warren boasts about. While he is engaged in this sort of spitting contest, why doesn’t he add a “compare and contrast the humility of the pastor” into the mix. Oh, wait. Forget that suggestion. It will be interesting to see how this plays out over time. In addition to being a dumb thing to say, it is simply not helpful to the body and I am hard pressed to see what end Warren hoped to achieve by putting this challenge out there. I wonder how this sort of challenge conforms to the concept of being “purpose driven”? The only thing surprising, would have been if he’d upheld it. Al Mohler offers his customary well-considered thoughts on the implications of a federal judge overturning the California consitutional amendment defining marriage as being between one man and one woman, known during the general election of November 2008 as “Proposition 8”. Al Mohler did not mention it in his article, but I will raise it here…would you be surprised to learn from reading these findings that the judge himself is gay? It seems to me that they have something of a self-serving ring to them. And it was not until I read them that I went searching to see if Vaughn Walker could truthfully say, with a straight face (pun intended) that he was not at all biased in his findings. Try as they might, his defenders will never be able to convince me that this was not a case judged by a conflicted jurist. I wonder where Elena Kegan will land on this case when it finally arrives at the SCOTUS? Okay, I don’t REALLY wonder. 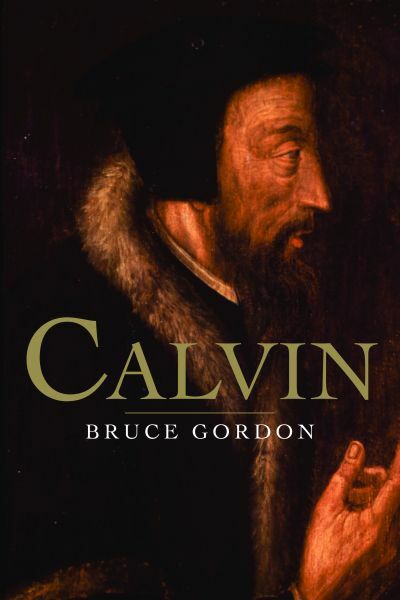 Calvin, authored by Bruce Gordon (professor of Reformation history at Yale Divinity School) was a book I had been looking forward to reading for some time. Its publication date was back in 2009, so my interest in the book had been brewing for a while, in part because of its subject…the great sixteenth century theologian John Calvin, and also the high recommendations it had received from the likes of Tim Challies, who regards it as among the best biographies of Calvin. Further, the book was also among Tim’s “top 9 books read in ’09”. Perhaps the expectation was set too high when I picked up the book and started reading it. I have been doing a fair amount of reading lately, but this was the first biography I had read in a while, and this book reminded me why that is the case. They are just not my cup of tea. Stated very simply, I did NOT enjoy reading this book. It was a labor to plow through, and I was never so happy to see the final chapter of a book as I was with this one. None of that is to say that this is a horrible book. It was very informative, and I did learn a great deal about its subject. And I will give Tim Challies the benefit of the doubt when he says this is an outstanding biography of Calvin. I certainly will not be challenging him by reading another. My specific complaint was that the approach Gordon took was to not trace the life of Calvin in a sequential fashion, from young to old with all the details in between. Instead, his approach was to reveal Calvin in a variety of different contexts with relatively little concern over their date sequence. Or perhaps more clearly stated, the contexts demanded that there be a repeating timeline where we see Calvin over and over again in the period from the 1530’s to the 1560’s. It is not that this approach was confusing, instead it was just frustrating in the sense that the whole book seemed to have a circular flow, never making much progress forward, just looping back around to examine another context during a period of time you had already examined with respect to another context. Some who are fond of biographies may have found this approach refreshing. While it left me informed, it was not without frustration. To Gordon’s credit, he revealed Calvin in what seemed like an unbiased and even unvarnished manner, demonstrating both the theologian’s brilliance, determination and passion for the sovereignty and grace of God, along with his cranky manner, dogmatism, sometimes even spiteful interpersonal relationships. Another positive for the book is that Gordon also managed to provide helpful looks at a number of Calvin’s contemporaries, usually, as they interacted with the man. I am glad I finally read this book. That said, I am even more glad to have it behind me. If you are inclined to read a biography of John Calvin, read Tim Challies review (link above) and roll the dice based on your impression from him, not from my delight that I can now move on to something else. You are currently browsing the WHATEVER! blog archives for August, 2010.